England captain Kane ended the quadrennial tournament with six strikes to his name. 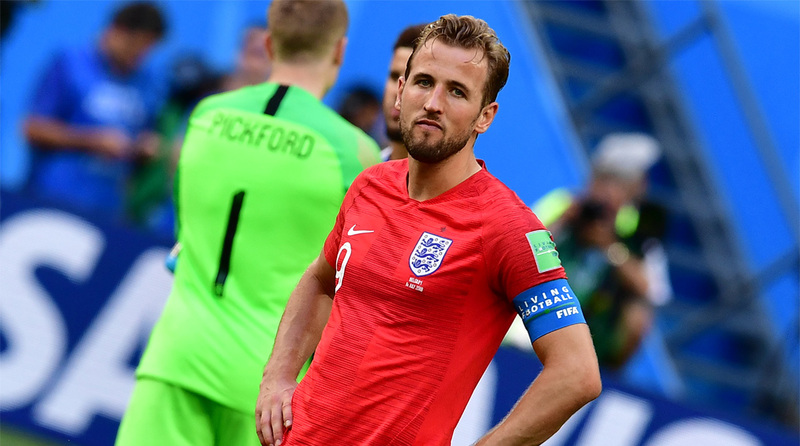 Football definitely didn’t come home in the end, but the displays of the English football team at the 2018 FIFA World Cup did make an entire nation believe again and skipper Harry Kane led from the front with his six goals to scoop the Golden Boot award. While France celebrated on Sunday night with the World Cup trophy, Three Lions fans were given a reason to cheer as well as Kane beat off competition from the likes of Kylian Mbappe, Antoine Griezmann and Romelu Lukaku to emerge as the tournament’s top scorer. Lineker won the Golden Boot in the 1986 edition of the World Cup when he too scored six times for the Three Lions. Kane scored a hat-trick in the group-stages against Tunisia as Gareth Southgate’s men progressed to the knockouts and made an entire nation believe with their run to the semi-finals. While they did come up short against a gritty Croatian side, the Three Lions’ depart Russia with plenty of positives, not least the fact that Kane can deliver with the goods for club and country both. Antoine Griezmann of France was the runner-up in the Golden Boot with four strikes while Romelu Lukaku came in third with four goals to his name as well. While both of them were tied for goals scored, the Frenchman had two assists compared to Lukaku’s solitary one so he finishing in second. Thibaut Courtois of Belgium got the Golden Glove, while Kylian Mbappe was declared the Best Young Player of the tournament.